The heart of this festival has always been the Palestinian /Israeli conflict and what could be a more emblematic opening film than the co-directed Palestinian/ Israeli film, Ajami (premiere), that is winning praise and prizes all over the world, and is Israel's choice of foreign film to the Oscars. Other Israeli highlights will take the festival-goers on a visit to Bedouin lands, as seen in Ori Kleiner's Recognized and Palestinian Israeli Nada El Yassir's All That Remains. Further on the Israeli program, Tlalim takes us on a visit of Puzzled Jerusalem, while Leah Rachel Jones looks at the origins of the Ashkenaz. 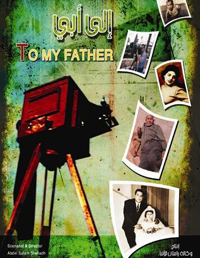 The Palestinian film selection, although quite diverse and strongly centered on the devastation in Gaza with a premiere from Samir Abdullah (Gaza –Strophe), seems marked by nostalgia: Abdel Salam Shehada's To My Father takes the viewer on a poetic photographic journey; Sahera Dirbas' Stranger in My Home let's us bear witness as several Palestinians return for a visit to their family home before 1948, now inhabited by Israelis. Mohammed Alatar is back again with a portrayal of Jerusalem, The East Side Story. Sports and music also make impressive stances for co-existence in the name of humanity: Maya Sanbar and Jeffrey Saunders's Goal Dreams and Jackie Reem Salloum's Slingshot Hip-Hop. Prison is yet another prominent theme, relating the hardships it causes families, husbands, wives and children as seen in Al Ashqar's First Picture…01, Nawja Najjar's fiction feature Pomegranates and Myrrh (premiere), and again in the Lebanese fiction feature Every Day is a Holiday (premiere). The Lebanese selection of films centers around the war in 2006, notably 33 days by Mai Masri; Creative Chaos: Round One by Hassan Zbib presents the constant cycle of destruction and construction and Majed Neisi's Orange Bombs the land mine problem in the aftermath of war. Michel Tabet's Les Larmes de Husayn explores the parallelism between war and rites in Nabatiyya in Southern Lebanon. 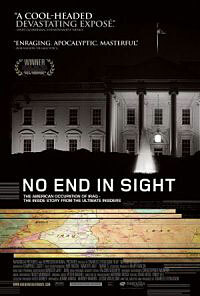 With a bit of distance since its onset, the Iraq war is analyzed and chronicled in amazing detail in two American films: No End in Sight by Charles Ferguson and Iraq for Sale by Robert Greenwald. From an Iraqi perspective, Kasim Abid's Life After the Fall takes us to the inside of a family and its hopes that turn to disillusionment after the fall of Saddam. A special focus on the place of women in Middle Eastern society brings to the program films such as Niloofar (Lebanon/Iran), the young girl who didn't want to marry the man of her father's wishes, Bodies and Veils (France/Jordan) where women in bikinis sunbathe next to those in traditional clothing, and Filles d'Iran that takes us into the mountains of Iran to villages where a peddler brings books to delighted girls. The festival extended its reach to include Iran this year, and the focal point is on Tehran: A People in the Shadows by Bani Khoshnoudi, SOS Tehran by Sou Abadi, and the closing film No One Knows About Persian Cats (premiere) by Bahman Ghobadi, which received the Certain Regard Special Jury Prize at the Cannes Festival in 2009. Works by these Middle Eastern film directors are complemented by a number of films from European directors, notably from France, Spain, Belgium and Sweden.